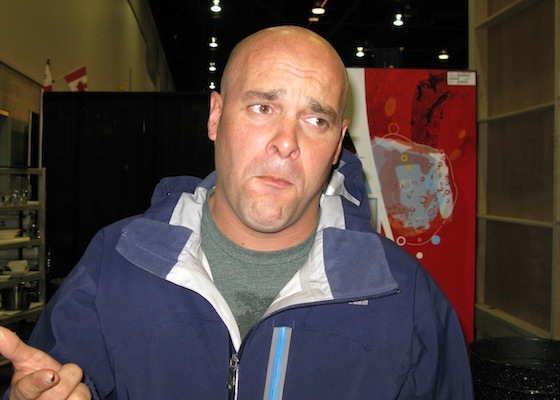 Bryan Baeumler, host of HGTV’s “Disaster DIY” & “House of Bryan“, reveals his favorite Vancouver patio and the one chocolate treat on his wish list every single holiday. BB – Milk Chocolate Hedgehogs from Purdy’s. They are the only things I ask for at Christmas, Easter, and my birthday! BB – Cardero’s. I love the building, ambiance, location and the food is great. I’ll usually order oysters, coconut shrimp and prime rib. BB – Gyros get me every time. There’s nothing like a bunch of random meat stuffed into a pita with some secret sauce. BB – I’ll try anything twice. BB – Warm chocolate pudding. BB – Kawartha Dairy Mint Chocolate Chip and Chocolate Peanut Butter Ice Cream – double scoop. BB – My Mom’s macaroni and cheese. She bakes it with three kinds of mozzarella, mushroom soup and a bunch of vegetables. It’s crunchy on the top and I couldn’t live without it! This interview was conducted for Vancouver View Magazine by contributing reporter Erin Ireland. Read the full article in the print edition.